A consumer called our office earlier last month outlining a scam that is brilliantly effective in its simplicity and ease. The scary part? There is not much you can do to prevent it. Our caller explained that her elderly father had passed away in early January of this year. After his passing, she and her siblings would go over to the house every day to pick up the mail. They were waiting on final bills and any other mail that included important information or documents. After a few weeks they realized they hadn’t received any regular mail. The only mail delivered had been store flyers and “junk mail.” They then went to the Post Office to inquire about the problem. What they discovered was chilling. The family was told that there had been an online change of address submitted on their father’s home mail. Someone had diverted the mail to a different address, and the Post Office wouldn’t identify. They were also told a Move Validation Letter had been sent to the old address. They never received it because it was forwarded to the new address. They were also told that when a change of address card is filled out, the postal employee taking the form is not required to ask for ID to verify that it’s actually the person living there. Worse, our caller couldn’t simply change the delivery address back. She was told she and her family must submit proof from the courts that they were actually in charge of their father’s estate to receive his mail. They faced a time-consuming and tedious process. However, as luck would have it, an acquaintance of theirs that worked at the Post Office recognized the woman, knew about her father’s death and vouched for them so they could receive his mail. The family is still piecing together whether any bank or credit card accounts have been breached or other damage done to their father’s estate. Recently, they did receive a returned piece of mail with the bogus address’s label attached. They Googled it and found their father’s mail had been forwarded to an abandoned shack in Baton Rouge, Louisiana! Almost 55,000 change of address orders are processed daily, totaling more than 37 million annually. Consider what could happen if your important personal and financial information was being forwarded to some scammer? Some people’s identities have been stolen when information on redirected mail was used to open accounts. According to the Post Office, all customers submitting a change of address – hard copy or online — will receive a Move Validation Letter to the old address. It is mailed to the name on the order and “Current Resident.” This prevents the letter from being forwarded to the new address. There is a five-day delay before the change of address information is loaded into the system that intercepts/forwards the mail. This is to allow time for the MVL to reach the old address and allow for validation. Unfortunately, this safe guard did not work in this case. What can you do to protect yourself? Not much! It is suggested if you don’t see mail for two days, call the Post Office to find out if someone has diverted it. If you find out someone diverted your mail, file fraud reports with credit bureaus immediately and the Postmaster. If no notification letter is received, customers should contact the Postal Service at (800) ASK-USPS or (800) 275-8777 for help. 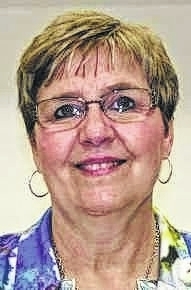 Cheryl Parson is president of the Better Business bureau serving West Central Ohio. The BBB may be found on the Internet at www.lima.bbb.org.